“1st Edition” cards are specially marked with the “Edition 1” stamp to signify their limited print run status. These cards were only available in retail outlets for a short time and their prices reflect their relative scarcity. “Unlimited” cards do not have the “Edition 1” stamp. Shadowless Note: The “Shadowless” cards are the very first print runs that Wizards of the Coast (WOTC) produced for the Pokemon Base Set. This print run was remarkable in its poor “look”. The cards were dull in color and the graphics were “muted”. 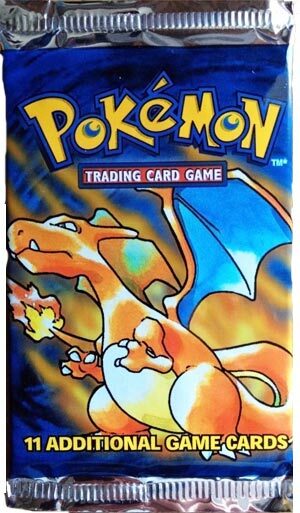 WOTC quickly changed several things on the cards; the most obvious was putting the shadow around the box which had the art of the Pokemon character. The “HP” font was also changed and the colors were made to “pop”. Shadowless cards are much like “1st Edition” cards in their rarity. 1st edition Shadowless cards exist as well. Prices are all based on Near Mint Condition. PSA Graded Cards are generally more valuable, especially if graded 8 thru 10. We highly recommend you get 1st Edition Holofoils cards from this set graded! Click here to read more about PSA grading. The PSA 10 Column shows actual sold prices for 1st Edition cards on eBay … usually PSA 10, 1st Edition and Shadowless. Unlimited Edition PSA 10 cards are generally worth about 75% less than 1st Edition cards.